We’ve been waiting and working since 2010…and now it’s finally happening. The city council will be voting on whether or not to adopt the Provo Bicycle Master Plan (and a summary of the plan as a chapter of the Transportation Master Plan) during their March 18th city council meeting. Many of you have been involved with giving feedback and helping to create the plan through open houses and workshops. Bike Committee Chair Aaron Skabelund and I (Jamie) met with Council Chair Miller last week and the council chair expressed his own support for the plan. He is also recommending that the council consider the plan when making city budget and CIP (capital improvement projects) decisions. The plan is a way to be more forward-thinking when it comes to creating streets that are safe for all road users – pedestrians, bicyclists, and drivers. Cities that have implemented similar plans have seen a significant increase in students that choose to attend college without a car. The plan will make our streets safer (particularly important after the recent accidents we’ve been having) and improve our air. Passing the plan will also help Provo’s reputation as a healthy, family-friendly community. Although nothing can be certain, we believe that the council will choose to adopt the plan. Both TMAC and the Planning Commission gave their full support for the plan. Council member questions seemed to be answered to satisfaction during the council work discussion and there was a unanimous vote to move the item forward for formal consideration at the council meeting. Where: City Council Chambers, Provo City Center 351 W. Center St. Thank you for your support and patience during this extensive public process. Without city leaders and dedicated cyclists coming together to help create a vision of what could be, we wouldn’t have had such a forward-thinking plan. 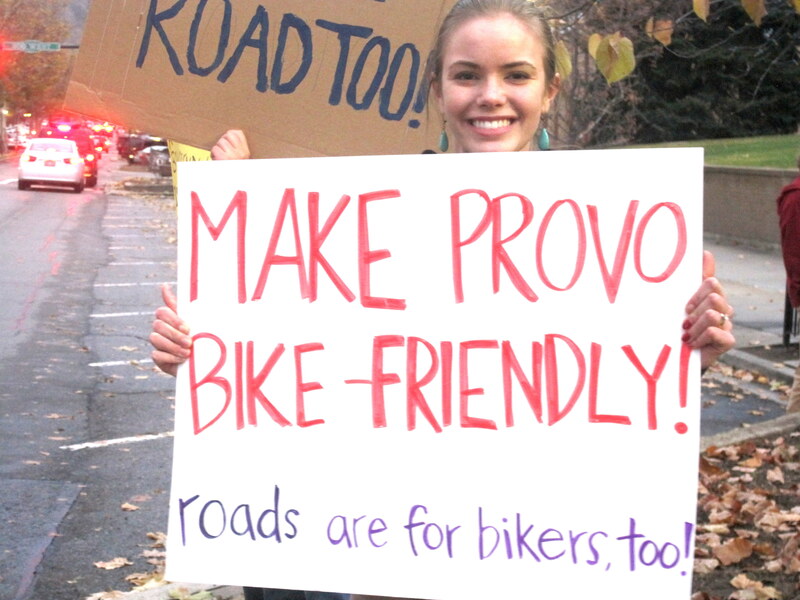 We are hoping to throw a community-wide celebration during Provo Bike Week. Keep checking the blog (and your bicycle newsletter) for an update. I’m so glad this passed! Such great news!